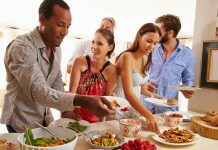 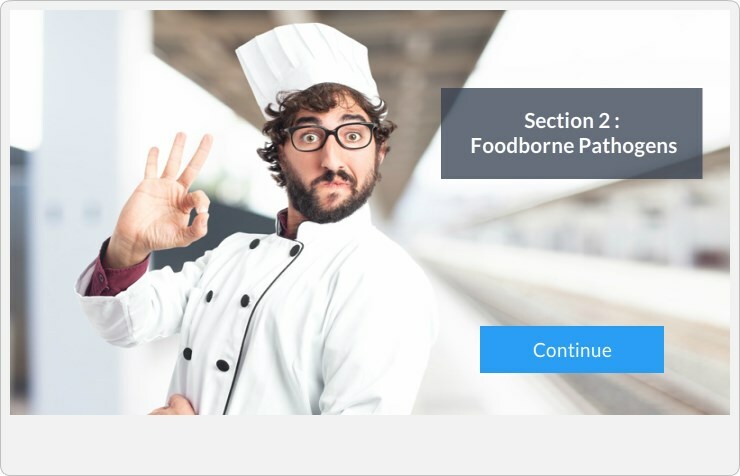 The free food safety practice quiz assesses and reinforces the learner’s knowledge of food safety and sanitation. 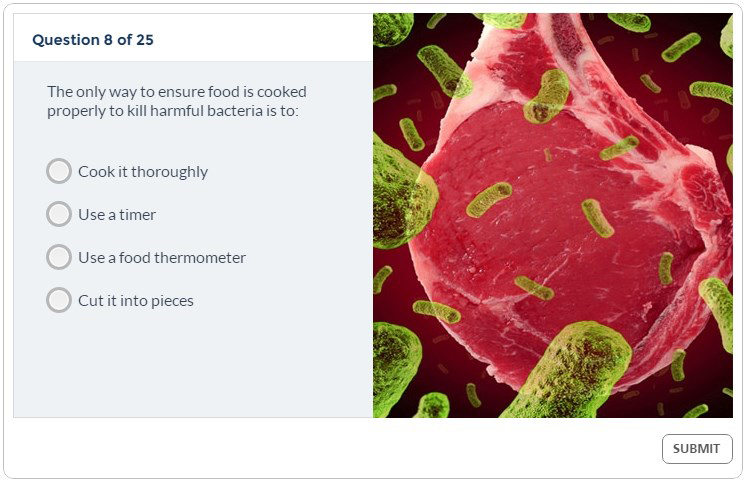 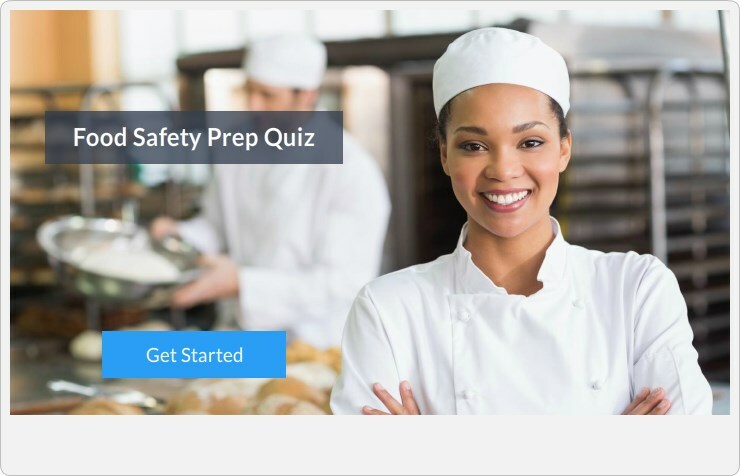 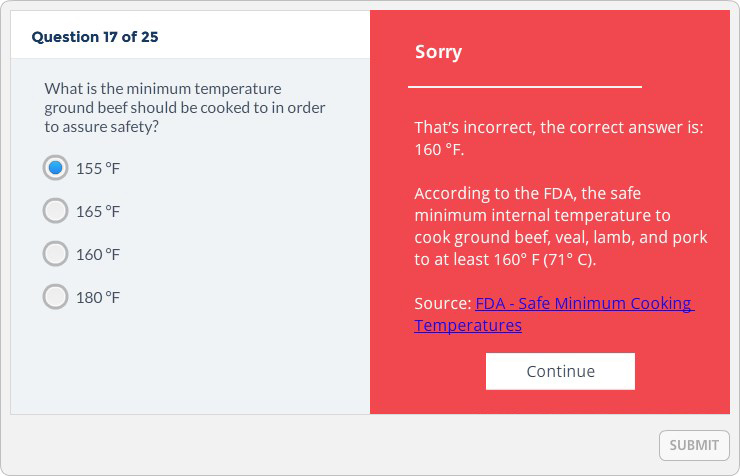 The food safety prep quiz is excellent for studying for the Food Handler training test – or Certified Food Manager Exam – or simply to learn more about food safety. 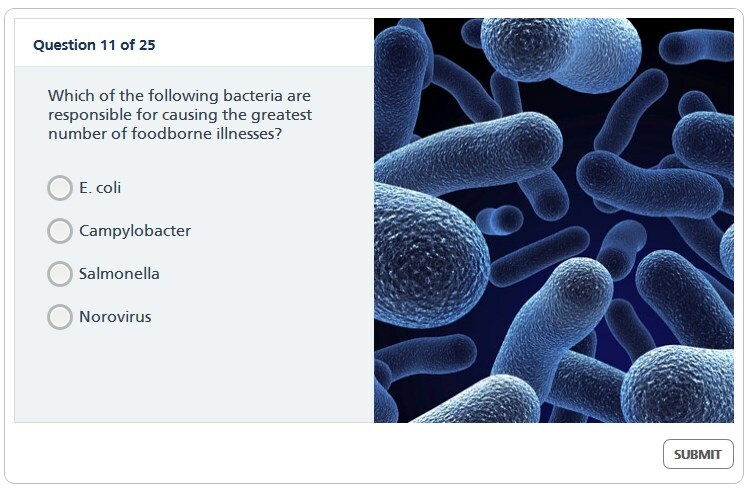 With 25 questions, the quiz has vivid graphics and detailed feedback and has been designed to be taken on your computer or mobile device.